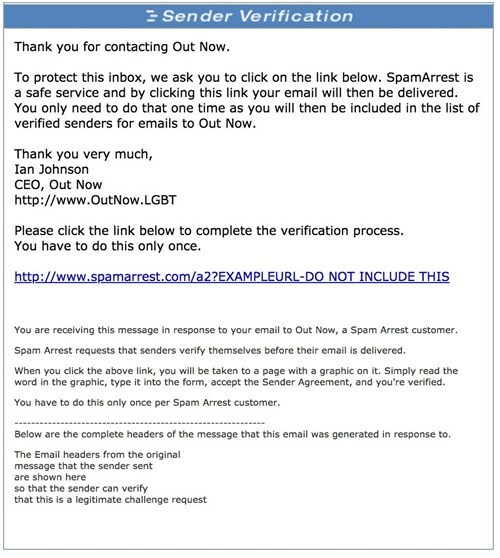 If you have not contacted us before, you will be asked to confirm your email address by clicking on a link you will receive from our spam protection service provider SpamArrest. An example of that appears below. Just click the link in that email and your original email will then be sent to us. Thank you very much for getting in touch with us and we look forward to replying to your inquiry. The Team at Out Now.